Reading helps children to develop their brains in many different ways by giving it a different exercise than playing video games, watching TV, listening to music or just about any other activity. Vision, language and associative learning connect neural pathways that help it to better think and concentrate. Reading also improves vocabulary and is essential for all learning so we definitely want to make sure, in partnership with our student’s parents that they are reading throughout the summer. The summer strategy I use is called STAR, 1) Student Choice, 2) Tracking, 3) Accountability 4) Reward. By using each of these to design a summer reading program you will success. You might not be able to control whether the students get to the library to get a book over the summer but you can make sure they get at least one book. We have a used book fair every year before the last day of school. Students bring in a book from home and get to choose a new book from the other pile of books brought in by students. It is a lot of fun for the students. Having a book fair can be a lot of fun but there is some prep work that needs to be done ahead of time. First ask for donations to get the inventory started. Books should be grouped by level and type so picture books, chapter books, etc. Then set up the swap days. So one day can be for K-1, then 2-3, and 4-5 depending on your school size. One thing to keep in mind is that the swap must be made with a similar book, so if you swap a picture book, you get a picture book. Since we are not checking on our students daily all summer, it is good to get them started with a package. In this package you can have books (from the book swap), flash cards they need to practice, and even a packet. But I find the most effective way is situating them with a Super Learning Summer Box. It is basically a cereal box, that has a summer learning contract, a contents page, a weekly tracker, and a learning journal. One new fact they learned, one item they created, on idea they have. 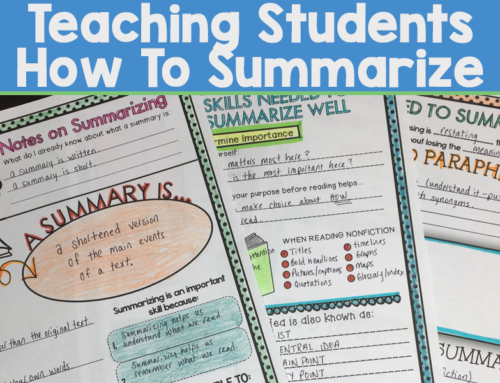 Also a section to record their reading and a summary of it, along with a writing prompt and a section for math practice. I really like this set-up and I think it will be very successful in helping students keep track of their summer learning. We need to help them as much as we can! I think this is a great way! We do not know if parents will be on top of their learning but we have given them all the tools to get them started. We can only wish for intrinsic motivation but my next tip will maybe help with that. You can have students return their summer learning boxes to you at the end of the summer for a small reward. The dollar tree always has some great small toys that can be a fun giveaway. 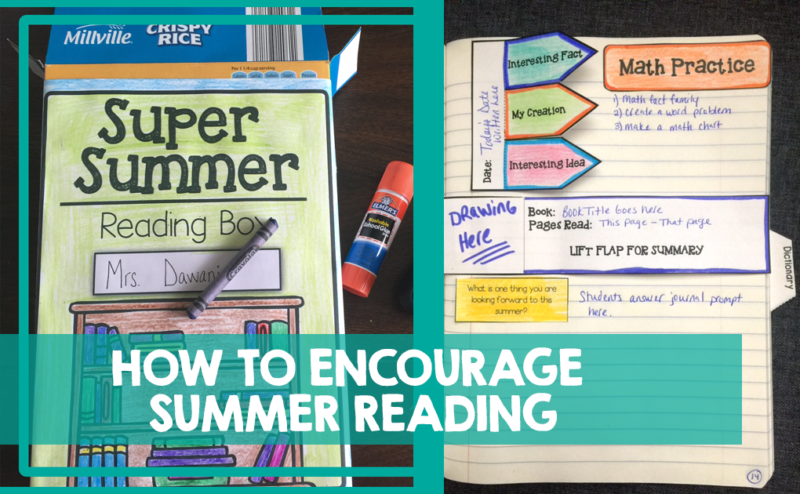 I hope I have sparked your mind with some new and fun ways to encourage summer reading. It isn’t easy to make sure your students don’t slip into the summer slide but we all are trying our hardest to support our students! Are you interested in purchasing this resource? Click here to purchase it on my site, if you are a blue brain brainiacs member you get 5% off. Or you can buy it on Teachers Pay Teachers.